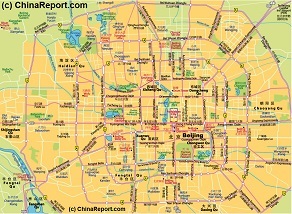 This Partial Map of Central Beijing combines the all area's within the 3rd Ring Road into one Map. All major boulevards, streets and side-streets are depicted but small alley's (Hutong) and side-alley's are left out. 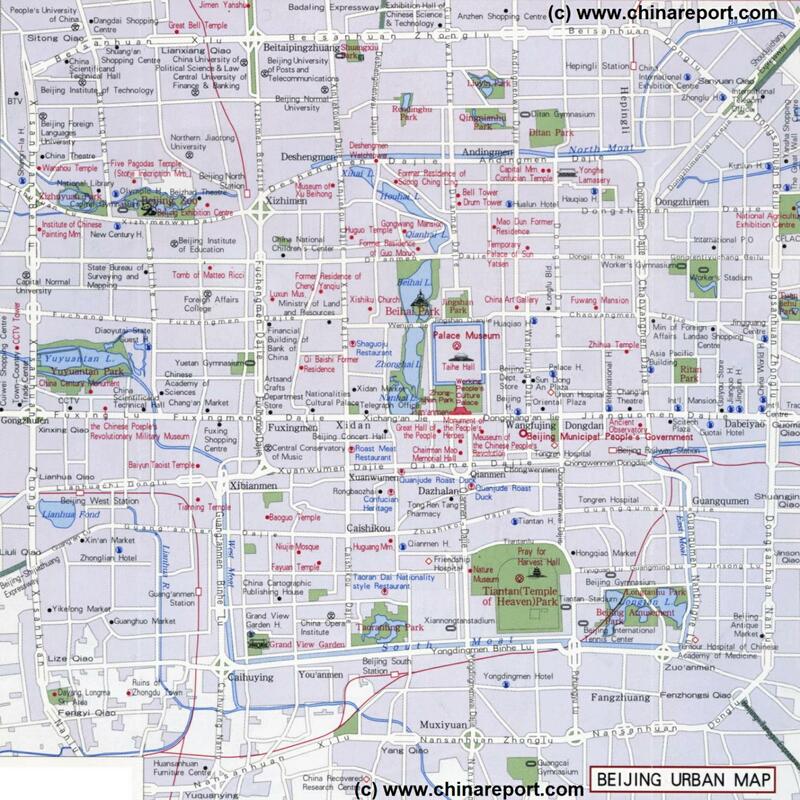 Major landmarks, historic monuments, former residences of Beijing Celebrities, Museums, Parks and other sites of interest within each area are marked on the map with a link to further information. Map roughly covers the area between Great Bell Temple in Haidian District in the North west, Hepingli Station and the China International Exhibition Center in the north east, Panjiayuan Antiques & Curiosa market in Chaoyang in the south east and finally the Ruins of Zhongdu Town, an onbscure historic attarctions situated in the Fengtai District in the south western suburbs.